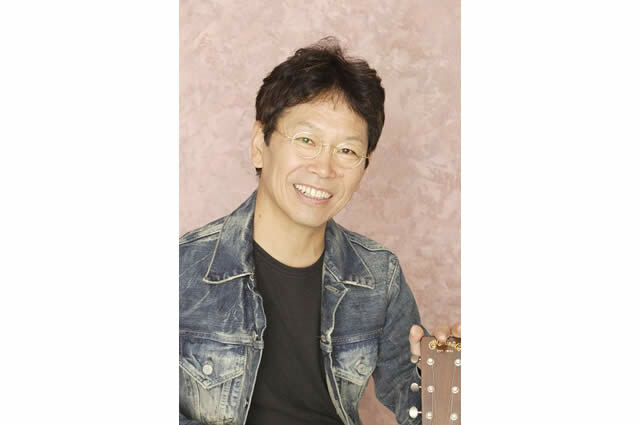 Kosetsu Minami was born in Oita in 1949, and formed the band Kaguyahime since 1970. Its distinctive musicianship and vitality taking Japan’s nascent folk music scene by storm, Kaguyahime released a string of million-sellers, including Kandagawa, Akachochin and Imoto, and six albums that were number one sellers. Minami has also been a pioneer of innovative musical events, attracting 60,000 fans to the all- night concert that he put on in Tsumagoi with Takuro Yoshida, and meeting with success as the first Japanese artist to hold a concert at the Nippon Budokan. After getting back together again to appear on NHK’s legendary New Year’s Eve “Kohaku Utagassen” program in 1999, Kaguyahime put on its first tour in 22 years from the following May 2000 to January 2001. The Kaguyahime Best Dreamin’ concerts, held throughout Japan, met with huge success, and in October 2000, the band also released a maxi single, Seishun no Itami (The Pain of Youth).